A Scottish golf holiday break at Knockomie, a Scottish Highland Hotel, is a must due to the abundance of challenging Golf courses surrounding us. Choose from Elgin Golf Course and Forres Golf Course for a parkland setting, Royal Dornoch Golf Course, Nairn Golf Course and Moray Golf Course for renowned Links courses and memorable Highland layouts with breath taking scenery …Whether you are teeing off on the first or relaxing on the 19th you will find that Moray and beyond is …Pure Golfing Pleasure! And now the Highlands have a new edition with the stunning Castle Stuart Golf Course to complete the already extensive collection. 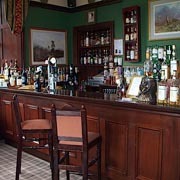 We are currently offering special room rates to golfing parties of 6 or more. 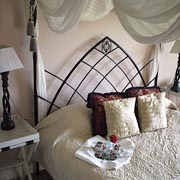 Knockomie Hotel is a new generation of award winning romantic, luxury, Scottish Highland Inns, providing friendly, honest and unstuffy service, situated 4 miles from the Moray coast and the world famous village of Findhorn near Inverness, Scotland. Knockomie is the perfect setting for romantic weddings, with intimate and luxurious surroundings and staff who really care. For those old romantics out there please see our pampering packages to make your break that little bit more special and surprise that special someone in your life. Our Grill Room offers a celebration of everything Scottish with local Highland produce and special menus for the seasons. The wine list is extensive. The Malt Library is self-explanatory. Your bedroom at Knockomie Hotel is your luxury sanctuary from this hectic world. Is it walking? Is it golf? Is it exploring or is it just relaxing? You discover! At the Knockomie hotel, in the Scottish Highlands, Scotland, we are proud of our luxury bedrooms; not one is the same and they all have their fans! Over the next few years we intend to make them even more distinctive and memorable. Ideas often come from our guests who share their dreams with us. The first to be themed was the Scottish Room at the request of an American couple that used the hotel frequently and sent their friends and colleagues to visit us.